Speaking - Threshold Academy, Inc.
Jeff Gaura is a dynamic and engaging speaker with a passion to educate and empower others professionally, personally or even nutritionally. His nearly 10 years of teaching in public schools have led him to develop a conversational and engaging presentation style that he easily pivots to best suit his audience. Jeff’s diverse personal and professional life includes living the Himalaya for two years as a Peace Corps Volunteer, starting multiple corporations, and earning spots on TeamUSA nearly 10 times. This gives him an unparalleled breadth of experiences to draw from, as well as a unique ability to relate well to a variety of personalities and cultures. You rock. Your session made 3 hours feel like 5 minutes. You took a problem and turned it into solutions without blinking an eye. I have been teaching for over 30 years and you are at the top of the class. It is rare that I find someone of your technical skills with a talent for teaching and a brilliant business mind. Jeff is a member of TeamUSA and races internationally in the sport of Duathlon. A Duathlon consists of a two running and a biking portions. Jeff has competed in multiple ITU Duathlon World Championships, at all distances. 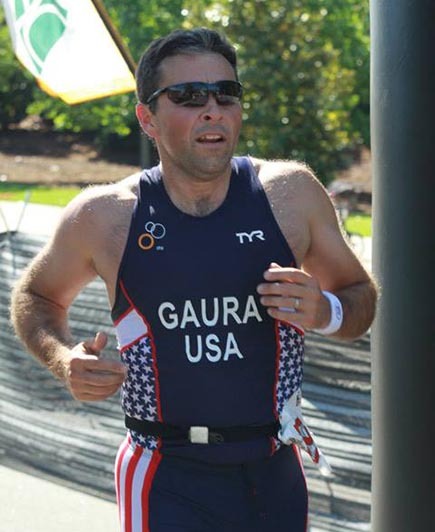 He trains for and races annually in the US National Duathlon Championships. He earned the title of King of the Mountain in 2015 in the Grand Master's category, given to the fastest uphill climber. He loves running and cycling with his sons, and he coaches others who share is passion. Jeff’s success as an athlete is particularly striking considering he only started training and competing in 2013. Jeff was a natural athlete as a child. However, his parents’ fears over potential injuries caused them to keep him out of sports throughout his childhood. Therefore, Jeff didn’t know how much athletic ability he had until he started bicycling for fun at the age of 47. Within several months, he had qualified for Nationals, and earned a spot on TeamUSA. His training has changed his entire life, and that of his family; particularly in the areas of nutrition and time management. Topic Themes: Taking ordinary to extraordinary, Nutrition and Faith, Discipline and hard work—and the latency between effort and results, Overcoming family mistakes, It’s never too late to try again. After serving in the Himalaya with the Peace Corps for two years, Jeff discovered his passion project. He has spent the last 28 years improving education opportunities for residents of the Dang Valley of Nepal. He raised funds to build 3 schools, outfit them with computers, install solar panels to ensure power and helped to provide victims with clean drinking water after the devastating earthquakes of 2015. 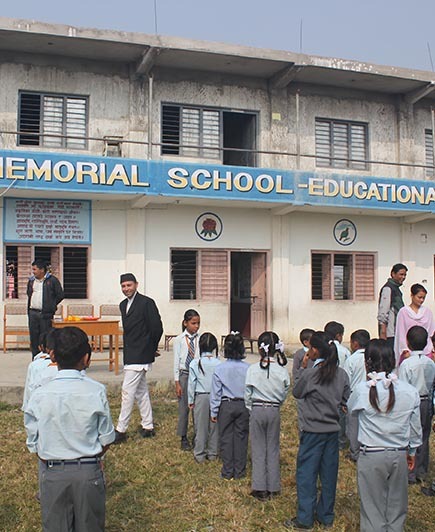 He helped fund scholarships so students could attend school, both in Nepal and the US. The Nepal Project is currently funding Montessori training, working with another non-government organization to provide onsite training Jeff is planning a return visit in 2016 to investigate a water project and additional community development opportunities in the valley. Topic Themes: Social Justice, The importance of education, Merging your professional, personal and ministerial Life.